Add new dimension to your maps. Show routes that explorers traveled, pin tacks and display images and information about that place, define areas by shape like the regions of Virginia or the United States. Tell a story using all the features and really impress your audience. A showcase of examples can be viewed here. 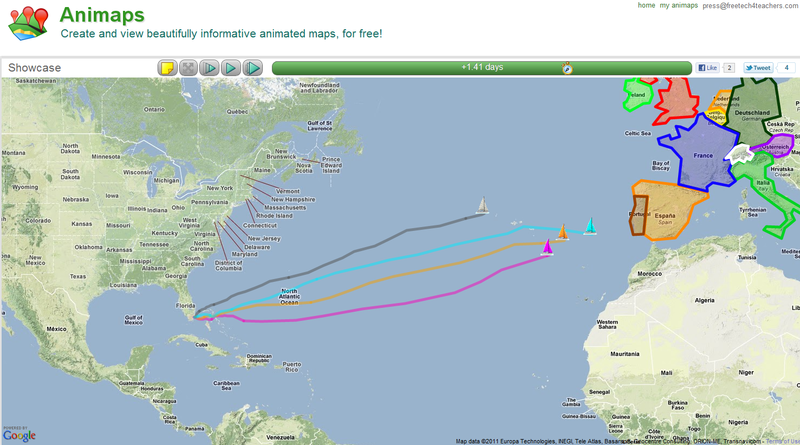 Animaps is free and can be saved, shared, and embedded to a website.